Our gallery now features examples with pricing listed in the image details (click / touch the photo to reveal pricing and more information – this is only on the most recent photos). A wide range of frame choices are available in a choice of colours and these can be chosen at the casting session. I am able to offer discounts for groups of 3 or more. 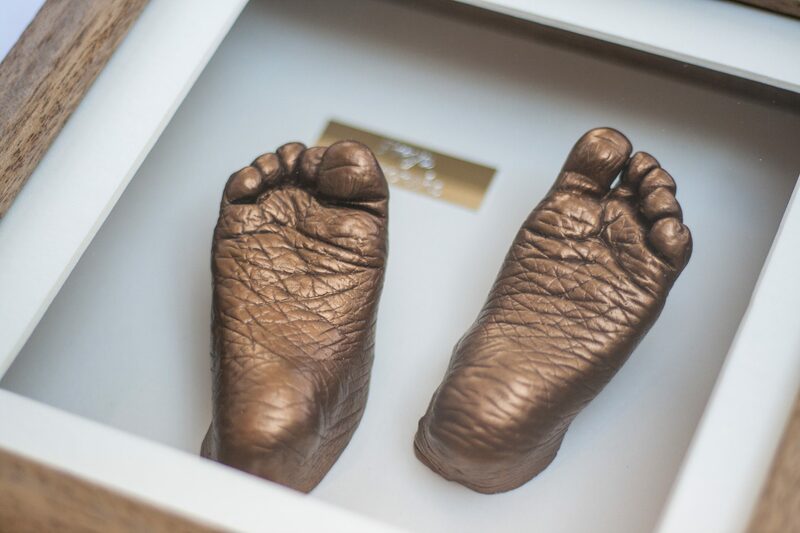 Why not get your NCT group/ baby group together and enjoy a casting session (2 baby feet) for just £55.00 each. Up to 10 mile radius from GU23 7HN:No charge. 10 – 20 miles from GU23 7HN: Travel charge of £10. Over 20 miles – please ask for charges.